Took me about thirty minutes to measure and drill the holes for my new curtains (rod and curtains from IKEA). 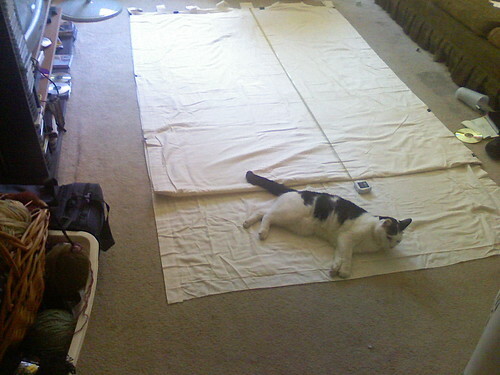 It’s taking me over an hour to measure and cut the curtains to size and you see why. If it’s not this one, it’s the other one.